Fredericton / Blog / 201808 / Feast in the Village at Kings Landing! Feast in the Village at Kings Landing! As if a visit to Kings Landing isn’t already memorable enough, here is your chance to be footloose and fancy-free with the villagers -- afterhours! With all that work that had to be done, leisure time and entertainment wasn’t abundant in 19th century rural New Brunswick. However, when there is a cause for celebration, no one does it quite like the villagers! Imagine listening to live music and entertainment while enjoying delicious food and good company in this picturesque and historical setting as the sun goes down. The Feast in the Village offers you the chance to do just that! Select homes and shops will be open to explore and villagers interpreting New Brunswick’s past will be around to mingle as they celebrate Queen Victoria’s coronation. People throughout the commonwealth celebrated Queen Victoria’s coronation in 1838 with balls and parties. Your ticket to the feast includes admission for the day, so you can partake in the garden celebrations in the afternoon and keep the party going into the evening. Now, it wouldn’t be a feast without one heck of a selection of food. This open-air, long-table dining experience will take place in the heart of the Village. The culinary team is pulling out all the stops to serve up delicious, generous platters of dishes inspired by New Brunswick’s heritage. These platters will be placed along the table and shared among villagers and guests. There are vegetarian and gluten sensitive options. 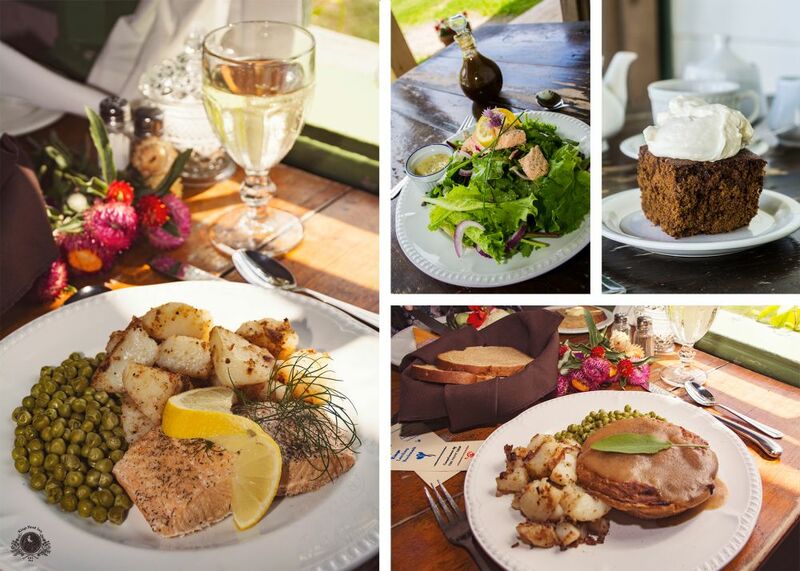 Menu items include dishes like Mary’s Famous Brown Bread, Maritime Zucchini Pie, Molasses Baked Salmon, Roasted Venison Loin, and Fresh Baked Gingerbread. Is anyone else hungry? Here is the full feast menu to whet your appetite. While these dishes play starring roles, the feast is about more than just the food. This event offers a unique experience you won’t get on a regular visit to Kings Landing -- or anywhere, for that matter. The Feast in the Village is a great opportunity to gather friends and family together and make a little history of your own! Don’t have anyone to bring? No worries! You certainly won’t be alone. You’ll have plenty of opportunity here to meet new friends who love history and food as much as you. The Feast in the Village is a great way to end the summer and make a lasting memory! Kings Landing’s Feast in the Village takes place August 25, 2018 from 5:30 PM – 8:30 PM. General Admission for this event is $67/ person and Season Pass Holder Admission is $50/ person. To purchase your tickets online, visit kingslanding.nb.ca/feast.